Twitter and Facebook are supposed to drive traffic to my blog. They haven't in years. I actually stopped expecting them to. I share the blog post out of habit. Not the best way to run a marketing campaign. It's all about engagement. I mentioned in the previous post, A Round of Links 2/13/15, that I attended a blogging webinar. Jane Friedman mentioned traffic source and I asked why Twitter and Facebook weren't driving traffic to my blog . She said it may be the headline, the time of day I share or that I haven't reached my right audience yet. Working on the headline. I know my audience. I'm having trouble reaching them. How am I supposed to know when's the best time to share? Social Media Examiner led me to Tweriod. "Tweriod gives you the best times to tweet. 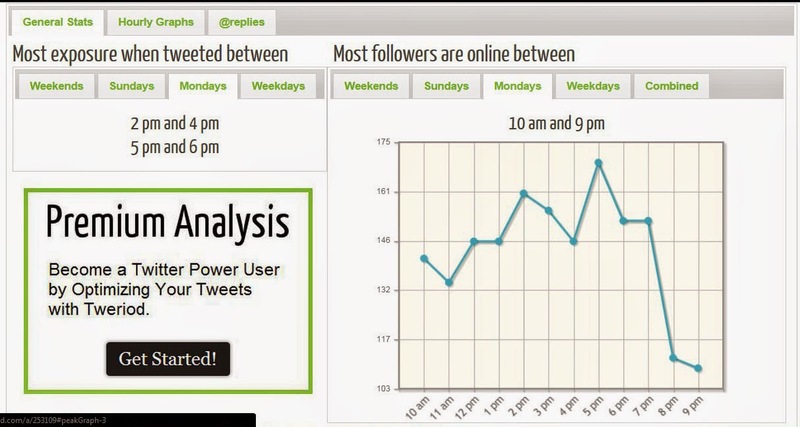 We analyse both your tweets and your followers' tweets. So you can start tweeting when it makes most sense to reach others." And it's free. 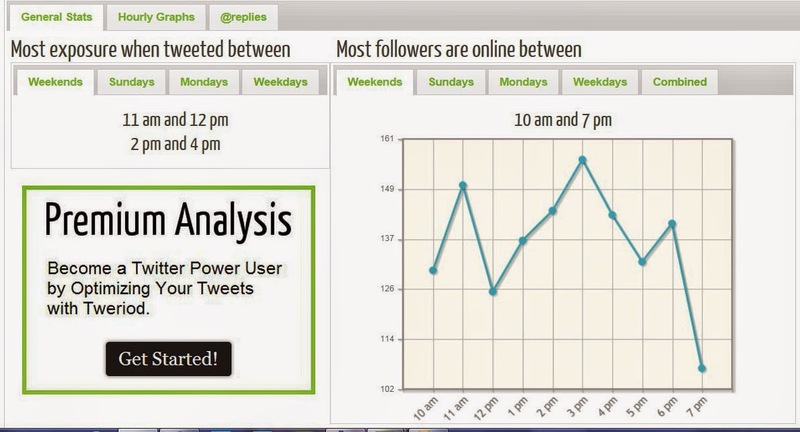 I signed in through Twitter and about a hour later, they gave charts detailing when most of my followers were online and the best times to tweet. They broke it down by day. 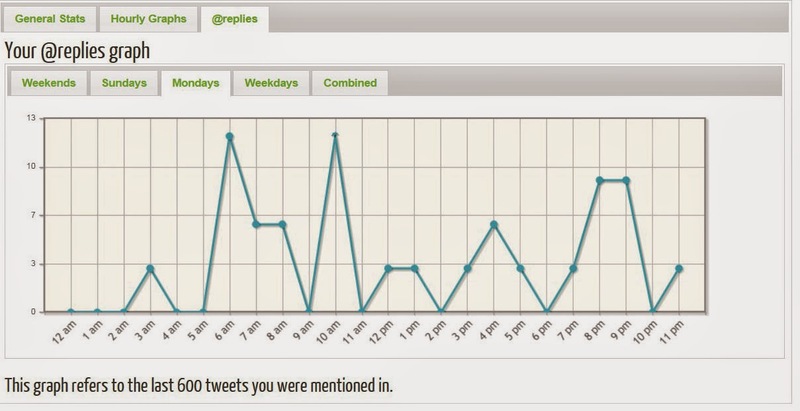 They even graphed my mentions by day. Don't know yet if this data will help engagement on Twitter. But, I know more about my Twitter followers. I'm using TweetDeck to help. It's easier to schedule tweets for the right time then remember I need to tweet between 2pm and 3pm, for example. I'll let you know how it goes. Now I have to figure out Facebook.